Order a 5-pack of this new dynamic Audio CD and save! In this dynamic and powerful audio CD, documentary filmmaker Chris Pinto explores the issue of Freemasonry in the Church, and how this secret society is working to change the Gospel and undermine the Christian faith. These audio selections are taken from the Noise of Thunder Radio program, hosted by Pinto himself, whose extensive research is based on years of investigation and interviews with some of the most influential leaders in Freemasonry today. 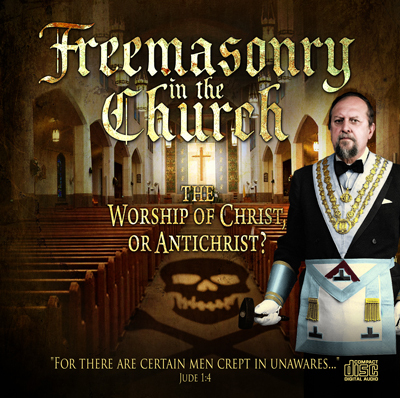 This CD is presented as a resource for those who are trying to understand Masonry, and who desire to witness to others.